St. Moriz have always been a firm favourite in my tanning choices, there was a time when I would slather myself in the stuff and look like the annoying orange in a wig but I thought I looked proper fit. These days, I prefer a more subtle glow to make myself look less walking dead and more walking health. However, because I am a complete tool – I can often struggle to apply fake tan without something disastrous happening. 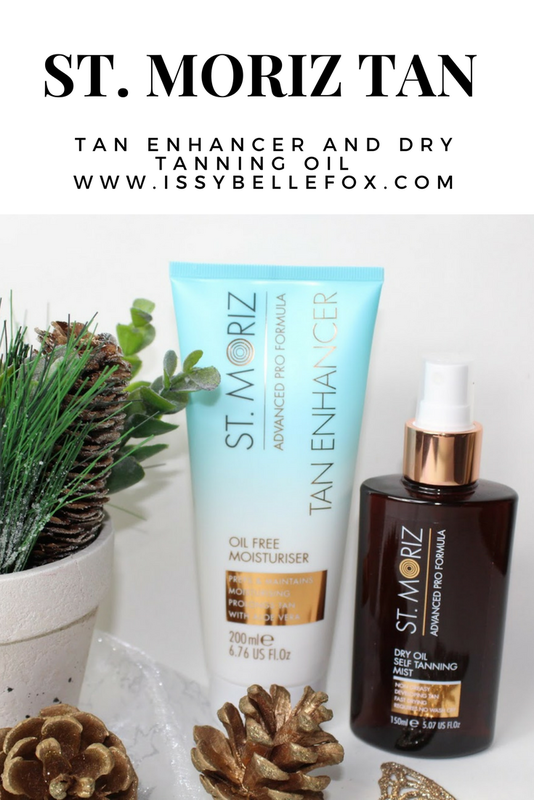 St. Moriz have come a long way since the days of mousse and now have a plethora of products to help you achieve whatever kind of glow you want with as much damage control as possible. I was kindly sent the Dry Oil Self Tanning Mist and the Oil Free Tan Enhancer to try and achieve a nice wintery glow. As per the instructions I applied to Enhancer to my dry bits (basically all over) but primarily my knees, knuckles and elbows…y’know the wrinkly bits that aren’t the best of mates with tan on the best of days. I also treated myself to a new mit and proceeded to apply the oil to my body. I tend to start with legs first and work my way up to my face, the oil comes out clear which can be a little deceiving as I wasn’t too sure where I had or hadn’t already applied it so I gave it a second going over for good measure. As expected, something awful happened and the bottle started leaking. Whilst the spray function was still working properly, some product was also leaking out of the lid of the bottle and running down my hand which meant that I had to stop spraying every so often to try and blend the leaky oil into my hand. I didn’t worry too much though…I needed to tan my hands at some point. Once I’d sprayed and blended all over I waited for the oil to properly dry; even with the driest of formulas you’re bound to get that just-applied-tan feeling afterwards that means you have to walk around naked with your arms out for a little bit. One thing I loved about the oil is that it doesn’t require washing off; I’m a right lazy mare so washing off tan at the recommended time has never been my forte, I was proper chuffed to just get dressed and carry on with my day after applying this. I didn’t notice much development throughout the day but to be fair it was a dull day and I didn’t go out. It wasn’t until the next day when I pleased to notice that my face looked a little more alive than usual first thing and I needed to use a different shade of foundation. I also noticed that my hands were patchy and dark AF but as that’s nothing in comparison to previous disasters, I was still pretty pleased with the overall result. 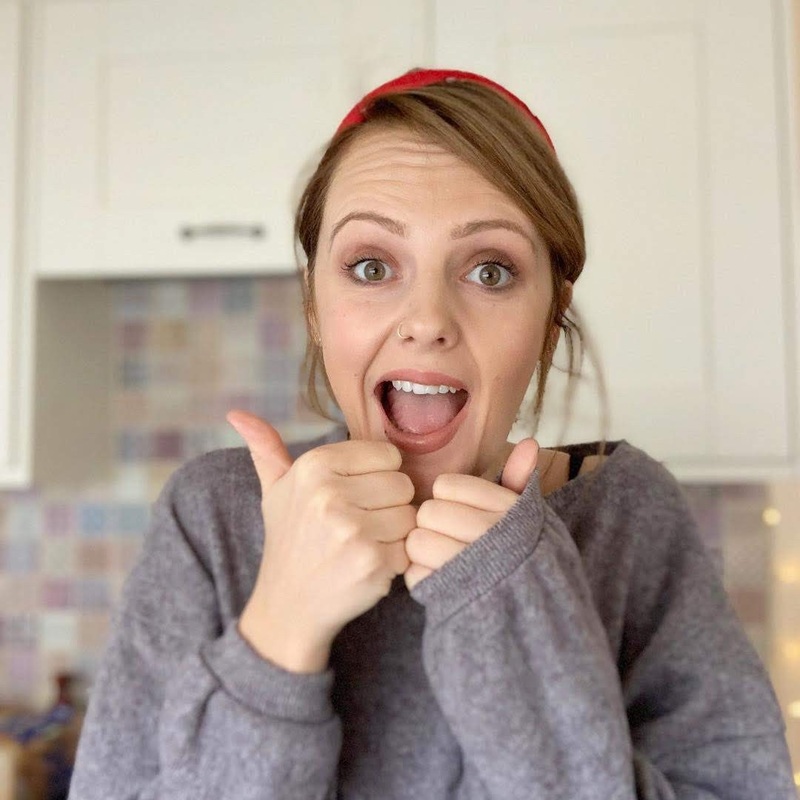 I noticed that other areas like my bump and legs need slightly more product but as it’s easy and quick to apply it wasn’t a problem to even out. Dry oil is perfect to lock in moisture when you get out of the shower. Firstly, the smell of this stuff is amazing, it's somewhat like aftersun but with whiff off Aloe Vera that takes me back to holiday days. The enhancer has two functions, one to prep the skin the application of tan and the second to help prolong the tan and help achieve a salon professional finish. As it's oil free it's a really good product to use on the dryer areas of skin before tan application as it properly moisturises them without leaving an oily residue that cold react with the tan during development. I definitely noticed it working wonders as an enhancer, especially considering the hand-tan disaster, the enhancer helped even the tan out as it faded making making my horrendous mistake nothing but a faded memory within a few days. It's also incredibly moisturising and soaks into the skin like a dream, I've been using mine every other day between tan applications and I will definitely be purchasing my own when it runs out. I’ve not used St Moritz in such a long time. Used to be my go too for any tanning occasion. I have no clue if we even get this brand in South Africa. The dry oil sounds great, except for the leaking part!